You can pay securely via paypal by clicking on the button below. You will be charged $40 + $1.43 PayPal processing fee. 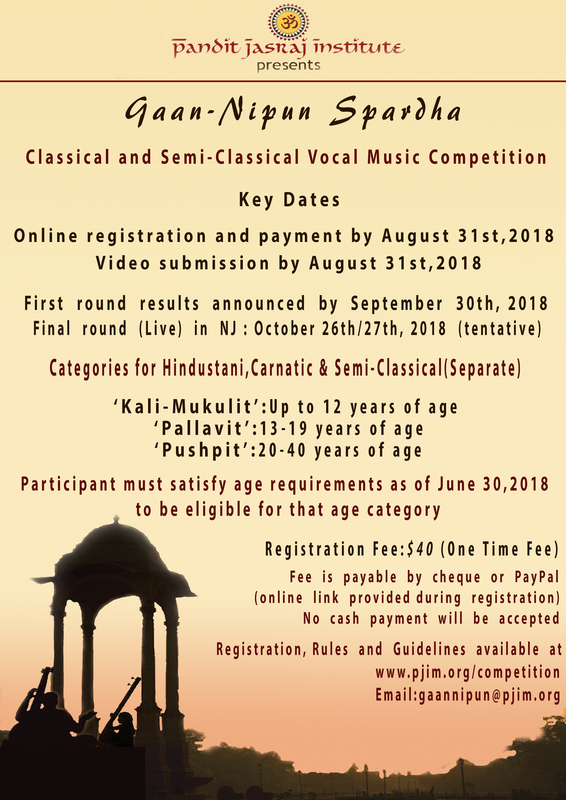 Check should be payable to "Pandit Jasraj Institute"